The Champions' Ballad DLC pack has some new Royal Guard gear that's perfectly suited to adventurers with a regal sense of style. DLC Pack number 2 for Breath of the Wild, the much-touted Champions' Ballad DLC, has finally arrived, promising adventurers the chance to earn rare loot like stamina-boosting items for horses as well as Link's shiny new Master Cycle Zero motorcycle. Among these new items is a handful of new equipment and gear, not the least of which is the all-new Royal Guard Uniform, which when equipped in a full set provides a decrease to the amount of stamina used from Link's charged attacks. Read on to learn more about the Royal Guard gear, including its unique attributes and where it can be found. Thankfully, picking up the new Royal Guard Uniform in Breath of the Wild's Champions' Ballad DLC is nowhere near as complicated as fulfilling the requirements to unlock the new Master Cycle Zero motorcycle. In order to don the new Royal Guard gear, players only need locate the treasure chests containing each piece of the set. The chests containing the pieces Royal Guard Uniform are buried within the well-guarded walls of Hyrule Castle. 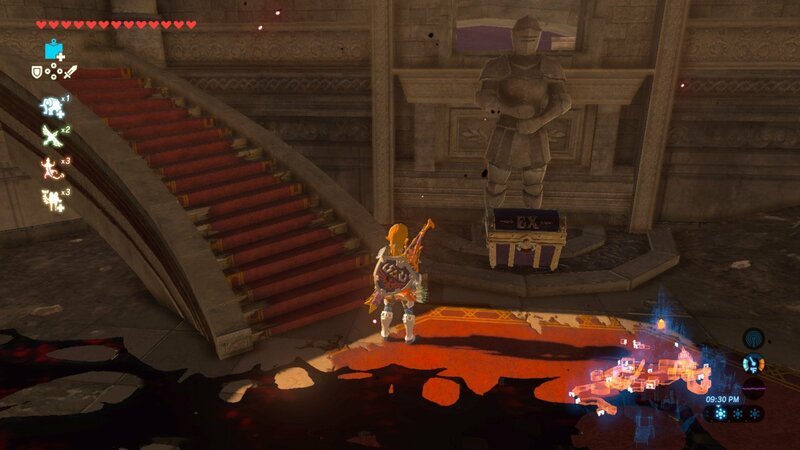 The Royal Guard Uniform chest piece can be found in the Hyrule Castle dining hall, right behind the bombable wall where players can find the Royal Guard's spear. 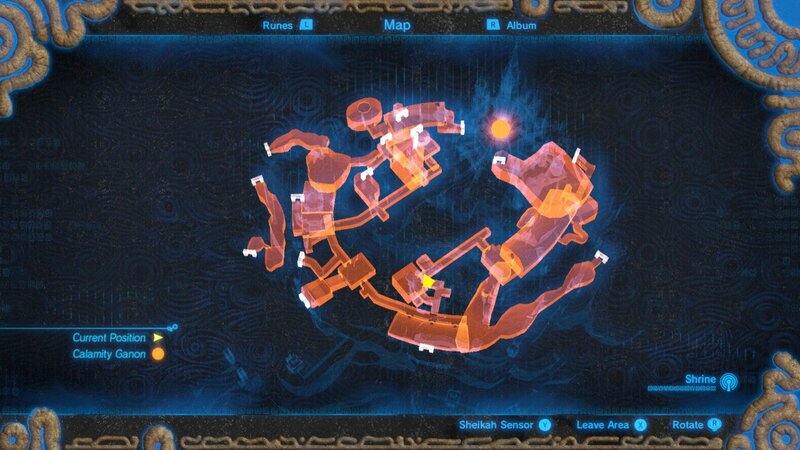 The Royal Guard Boots can be found just east of the West Passage sitting in the middle of the Guard's Chamber, being watched over by two Lizalfos. 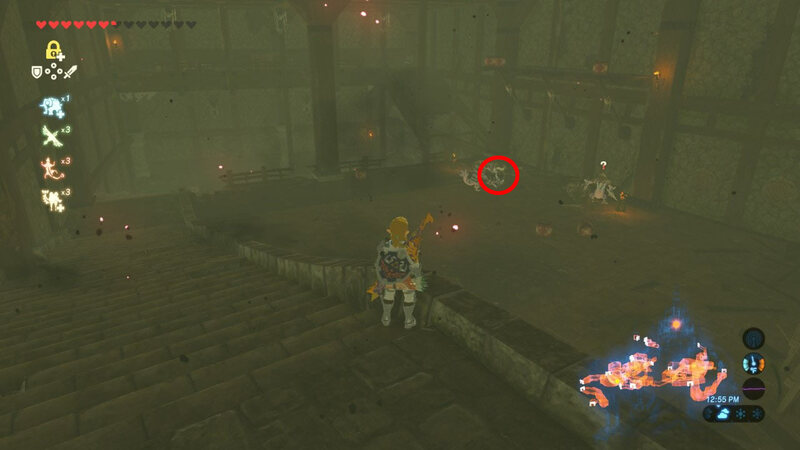 Lastly, the Royal Guard Cap is within a chest at the top of the Sanctum, located dead-center in the middle of Hyrule Castle just beyond where players face off with the initial forms of Calamity Ganon. Climb or use Rivali's Gale to reach the second story, where Link will find the equipment sitting in a chest by the staircase. 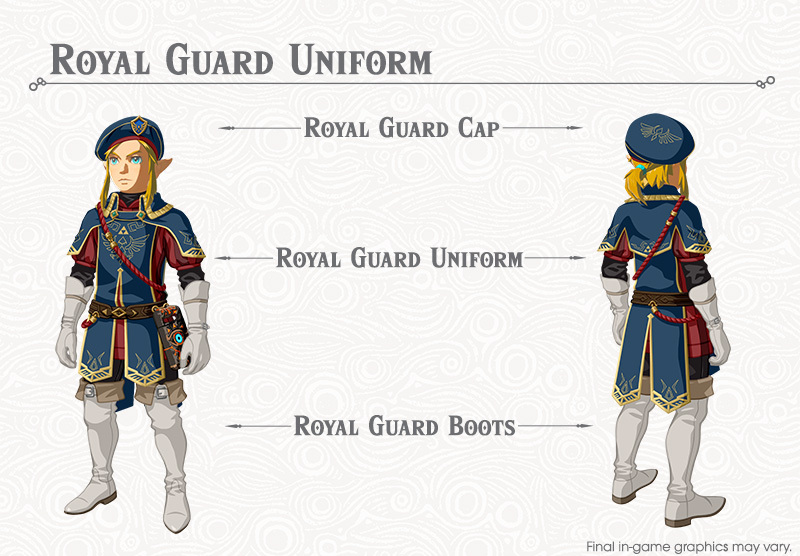 Once equipped, the Royal Guard Uniform provides a base defense level of 4 and includes passive decrease to the amount of stamina used with Link's various charged attacks — a serious boon when contending with the likes of a sleeping Hinox or a stunned Lynel. Like some other unique gear featured in the game, the Royal Guard Uniform cannot be upgraded through Great Fairy fountains. That's okay, though, because it still provides a powerful buff that will help players tackle the main trials presented in the Champions' Ballad DLC, where defense ratings ultimately count for nothing. Be sure to keep it tuned here to Shacknews as we dive further and further into The Legend of Zelda: Breath of the Wild's new Champions' Ballad DLC, with planned guides for all of the expansion's new shrines and new challenges.